After a short break we are getting ready for the new term and the blog activity will continue pretty much as normal in August. Development news looks at growing paradox of large organizations seemingly willing to change, but being caught in traditional structures; innovative ideas for humanitarian research; reflections on journalism and communication around the ‘Instagram Migrant’; emerging trends in think tank and research communications; the power of immersions & more; Digital Lives on how Internet virality westernizes the world; college students’ pressure to maintain happy Instagram profiles; gender & facebook in Pakistan & the complexities of self-tracking require better academic research. Ich glaube, dass wir in der entwicklungspolitischen Forschung – und ich nehme mich da nicht ganz aus – eher naiv sind, wenn es darum geht, wie sehr ‘die Mächtigen’ an Transparenz, Rechenschaft, offenen Dialogen oder digitaler Kommunikation interessiert sind. Ein paar Budgetdaten online stellen und dann warten, dass Bürgerjournalisten das kritisch analysieren entspricht nicht der Realität. Gleichzeitig zeigt der jüngste Fall vom Daten-Hack des HackingTeam, wie schnell sich digitale Kommunikation auch für Überwachung und Unterdrückung einsetzen lässt. In vielen Gesprächen in der EZ-community, an denen ich teilnehme, gibt es einen naiven Glauben, dass das ‘Internet Arbeitsplätze schafft’, oder das Internet-Mega-Konzerne mit den besten Absichten in Afrika investieren. Die Debatten die wir heute zu Überwachung, Datenschutz usw. haben, werden wir in ein paar Jahren in Nigeria, Südafrika oder Indien auch haben – der Reiz, digitale Technologien zu kontrollieren ist ein natürlicher Impuls traditioneller Strukturen. ‘Facebook Revolutionen’ oder ‘Hashtag Analysen’ sind attraktiv zu erforschen, bringen Veröffentlichungen und nette Netzwerkvisualisierungen, aber sie bilden eben nur einen sehr kleinen Teil der digitalen Entwicklungen ab. I am talking with German development blogger Claire Grauer about TED research, naive optimism in the transformational power of digital technologies and how digital communication strategies have become an important aspect of organizational legitimacy. I am a bit more optimistic about the ‘field’ of ComDev or C4D. No matter where you will be working in the aid industry, you will dedicate a substantial amount of time telling people what you are doing and why you are doing it. Even if your work is technical, bureaucratic or seemingly self-evident, e.g. humanitarian aid, you will have to explain, defend and be authentic about your and your organization’s work. The development organization of the future will likely be a mix between a technical agency, a public education institution and a media outlet. In addition to talking a bit more about my career/'career' in development communication I am sharing a few general reflection about the professional field of communication for development. But ask them how – in the real world – their own organisations will change and what ‘localisation’ means for them – and you don’t get much change of course. In OCHA’s move towards localisation, it has added a “workstream” for Communicating with Communities – piloted in the Philippines after the Haiyan disaster and rolled out again, rather successfully, in Nepal – which it now wants to incorporate into every one of its operations. It is also exploring how to give a bigger percentage of pooled funds directly to local NGOs. WFP has moved towards distributing cash instead of food, giving families more choice in what to buy and supporting the local economy. But these changes don't fundamentally change the power dynamics nor these organisations' internal structure. WFP doesn’t intend to shrink its workforce of 14,000, for example. As always, some very good multi-media reporting from IRIN on the World Humanitarian Summit consultations-the fundamental paradox remains: How can you be a large, powerful global aid agency and at the same time promote localized solutions with empowered communities? Humanitarian Research - How to approach it? I expect that there will be suggestions that may surprise you. For example, expecting a researcher to dedicate a percentage of time to help the organization on non-research tasks (e.g. 10% time helping to run a reception desk) may seem strange. But, this arrangement would integrate the researcher into the team, expose them to the challenges of humanitarian work and perhaps open unexpected insights. Organizations providing logistical support and accommodation and being included on internal communication may seem far fetched. Yet, we found it happening with other partners. Andrej Verity from UN-OCHA presents a new, short and interesting paper on collaborations between academic research and humanitarian organizations. Great food for thought! So what are the important points to take from this affair? 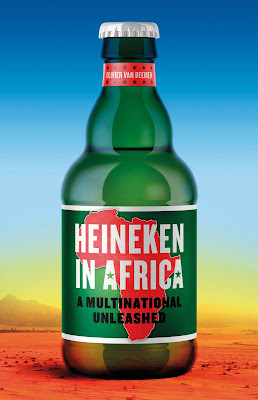 First of all that on some level African-European migration and the humanitarian and economic problems which cause it have become a way to advertise stuff, because that was at least part of the aim of this campaign. Perhaps it was also partly to raise awareness, but that opens up another issue in turn because what is as important as drawing public attention to a crisis is the way you do it. The fallout of a particularly strategy can easily do an amount of harm that outweighs whatever good you might claim came from the added focus. It’s difficult to quantify this in any subject, and I’m not arguing that’s what has happened here because it’s simply too early to tell how this will or won’t alter attitudes towards genuine migrants. Lewis Bush shares some excellent reflections on the 'Instagram Migrant' campaign and the unhealthy mix of shock/viral marketing and bad journalism. According to John, we are witnessing, finally, the acceptance of Digital First as a central plank of any communication strategy. The first and last points above refer to a second important trend in research communications: narratives and stories. The strongest think tanks today, argues John, are those who employ editors (...) or those contracting editorial services from companies like Soapbox. Automation makes it possible to correct it across all version from a single source. I believe this would have an important psychological effect on thinktankers: it will make them slightly less risk averse when it comes to sharing their work-in-progress. Enrique Mendizabal talks to John Schwartz about some growing trends in think tank and research communication. Keeping in mind that John's company offers some answers to these new challenges it is still a good starting point for discussions-especially how 'research communication' will likely change in the future and what they may mean for traditional academic roles. But this just keeps the existing structure of inequality in place. The rich sleep better at night, while others get just enough to keep the pot from boiling over. Nearly every time someone feels better by doing good, on the other side of the world (or street), someone else is further locked into a system that will not allow the true flourishing of his or her nature or the opportunity to live a joyful and fulfilled life. And with more business-minded folks getting into the act, business principles are trumpeted as an important element to add to the philanthropic sector. I now hear people ask, “what’s the R.O.I. ?” when it comes to alleviating human suffering, as if return on investment were the only measure of success. Despite the fact that Peter Buffet's father is the epitome of capitalism it is interesting to read his reflection on a large platform such as the NYT. Agency officials informed Oxfam that “preventing poverty” was not an acceptable goal. “Their interpretation was that preventing poverty may or may not involve poor people,” Robert Fox said in an interview with The Canadian Press. The Canada Revenue Agency prevailed, and the official declaration to Industry Canada about the purposes of the non-profit corporation dropped any reference to preventing poverty. I am a fan of immersion. But I have to say that as an organization, we did not emerge with sparkling new insights which will now illuminate and guide our work in new directions. We have done immersions in Tanzania, Kenya and Uganda for about six years; each time the individual stories are different, but the overarching insights stay largely the same. Many of the biggest lessons are personal, some may translate to our work, but it’s the simmering of deeply personal reflections and joint experiences, hard to encapsulate in a neat metric, which adds the most value to organizational thinking. Varja Lipovsek's long and reflective piece is, among many other things, a powerful reminder that 'immersions' differ from 'voluntourism' which is all too often focused on a project and product in the community-rather than leaving seemingly empty-handed after an immersion-but full of complex thoughts that hopefully will have an impact on your professional and personal life. Their concern, as individual practitioners, is not primarily driven by self-centered regard for their own safety and wellbeing, nor the safety and wellbeing of their friends, colleagues, or even family members – although these are clearly important considerations in their own right. Rather, it is based on a broader, higher-level concern that crisis-affected people may not be receiving the assistance and protection that they need, as a result of even the most committed, best-intentioned, best prepared, and most experienced aid workers and teams becoming unable to function at their best. Professionals in Humanitarian Assistance and Protection (PHAP) adds to the growing debate around development and humanitarian staff safety, mental well-being and long-term resilience and assistance to 'do good better'. Interface is an annual, peer-reviewed open-access publication for original articles. Great open-access journal on 'Theorizing the Web'! What does it mean, however, that so much of this representation is not only so American in style, but that the nature of online virality makes its dissemination so self-reinforcing? On one hand, there is undoubtedly a case to be made that this kind of viral grammar marks a particular style as a global contemporary, as opposed to a Western one. Our bloggy way of speaking is a kind of international connective tissue, making people in Jakarta and Paris and Mumbai part of an emerging, connected, privileged international demographic. On the other hand, when that global culture flows in mostly one direction—the fact that it is in English and borrows its style from Brooklyn and L.A.-based blogs—we have a larger problem: virality starts to look like soft cultural imperialism. It’s an assertion of Western values, neatly packaged as 7 GIFs You Won’t Believe. Navneet Alang wonders whether and how online virality is introducing/reinforcing a Western digital grammar to the WWW. College students are under so much pressure to appear perfect that different schools have developed their own names for the phenomenon. At the University of Pennsylvania, it’s known as Penn Face, as in the face you put on when you want your friends and classmates to think you have your life together. At Stanford it’s called the Duck Syndrome, because ducks hide their desperately paddling feet under the water when they swim. I think I took the picture to prove to myself that I was having a good time at Cornell, and to reassure my NYU friends, who knew me as a social and happy person, that I was having fun. There’s this expectation that college is supposed to be the best four years of your life. So to feel like I couldn’t connect to these amazing people at this amazing institution spurred a “What is wrong with me?” mind-set. Each "like" was an affirmation that people wanted to see me happy, adding more pressure to actually be happy. When you post something sad or depressing you get no support, no comments. Posting "happy" photos does the very opposite of what we want. I haven't done a photo like that in over two-and-a-half years. Izzy Grinspan asks 7 college students about the discourses of maintaining an Instagram account. Interesting insights into the political economy of happiness and how early the pressure starts for many in North America. Emrys Shoemaker shares some findings of his ongoing research on mobile and Internet use in Pakistan. A lot of food for thought and discussion! But I still think many of the critics misunderstand exactly what’s going on here. I think cessation of self-tracking is an enormously important empirical topic, without which discussion of self-tracking will inevitably remain prone to over-generalisation. We also need longitudinal qualitative studies of self-tracking, serious and extended versions of the auto-ethnographic reflections I’ve tried to outline here, in order to better understand how these activities unfold temporally in a way able to change both the person and the activity. Mark Carrigan shares some broader reflections on the complexities of 'self-tracking' and indicates that simple sociological theorizing or 'big data' metrified approaches will yield limited insights into the phenomenon.